Prince had long had an affinity for certain numbers and numerical patterns, and in the mid-2000s, the numbers “3121” had begun to take on a special meaning. At that time, Prince was renting a home in Los Angeles that he referred to as “3121,” and it was the site of many parties and recording sessions. 3121 was also the title of Prince’s 31st album, which was released on March 21, 2006 in a unique one-album deal between his own NPG Records and Universal Music. The album included collaborations with bandmates from the past and future of Prince’s career. Drummer Michael Bland and bassist Sonny Thompson, two of the original members of Prince’s New Power Generation, were tapped to perform on the title track, and the album marked the first time that Prince recorded with husband and wife duo Joshua and Cora Coleman (a.k.a. C.C.) Dunham, who would perform in Prince’s rhythm section for several years. The famed funk saxophonist Maceo Parker and his longtime collaborator Sheila E. also make appearances, as does Támar, an artist Prince would work closely work in the mid-2000s and even join on tour as her guitarist in 2006. 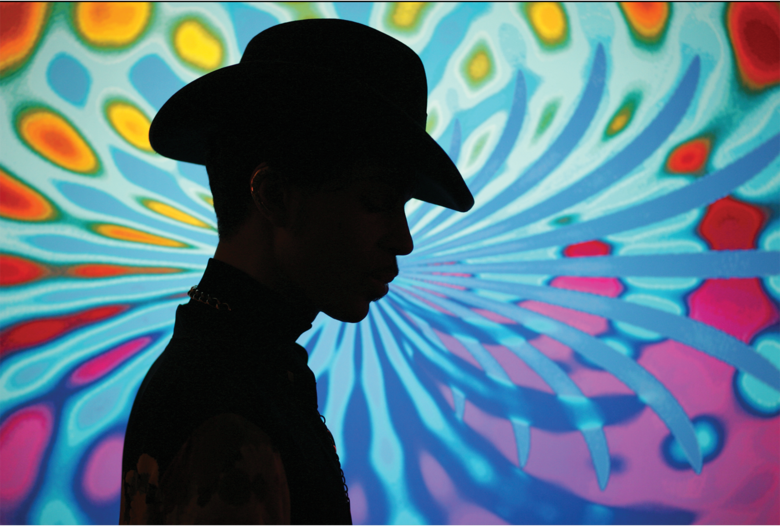 Because it was released on a major label and followed on the heels of 2004’s Musicology, 3121 was widely considered to be part of Prince’s “comeback” in the mainstream music industry. Remarkably, the album debuted at number 1 on the Billboard 200, the first of Prince’s albums to ever do so, and it was only the fourth album of his career to reach that coveted spot on the chart (the others being Purple Rain, Around the World in a Day, and Batman). Prince promoted the release with several television appearances, including Saturday Night Live, Good Morning America, and a surprise performance on the season finale of American Idol. 3121 received multiple Grammy nominations. The album’s title track, “3121,” was nominated for Best Urban/Alternative Performance and Best R&B Album, while “Black Sweat” was nominated for Best Male R&B Vocal Performance and Best R&B Song and his duet with Támar, “Beautiful, Loved and Blessed,” was nominated for Best R&B Performance by a Duo or Group with Vocals.